Our next step is going to be creating our themes folder and our "dot info" file and then populating it with the very basics of what we need in a "dot info" file in order for our theme to work. And that's all we need in order to actually enable our theme. What I'm going to do is go ahead and jump over here to the left to where I have a list of the files that are in my Drupal directory. And I'm going to expand the "sites" directory. I'm going to expand the "all" directory and then the "themes" directory. If you haven't downloaded any themes, this should be empty except for the "README dot text" file. 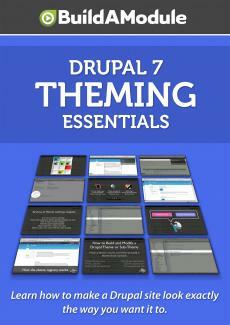 Now this is where we're going to put all of our custom themes, or any themes that we download from "drupal dot org". Our first step is going to be creating the themes folder. So our theme is going to be called "bat", so let's go ahead and create a folder inside of this folder called "bat". So I am going to go ahead and go to "New Folder". This option will be different depending on what operating system you're in or what IDE you're working with. And then inside of this folder we're going to create a blank text file called "bat dot I N F O info". So I'm going to right click it in my IDE and go to "New File". I'm just going to type in "bat dot info" and I'm going to expand the folder. You see now we have our "bat dot info" file. And this should be a blank text file. I'm going to go ahead and open it. Ok.
Next I'm going to jump back to the resource pack directory and we're going to go ahead and open up the second step which is called info "bat dot info-simplest-form". Let's go ahead and copy the entire code that's in here and paste it into our "dot info" file and save it. Just a quick walk-through of what we have here.